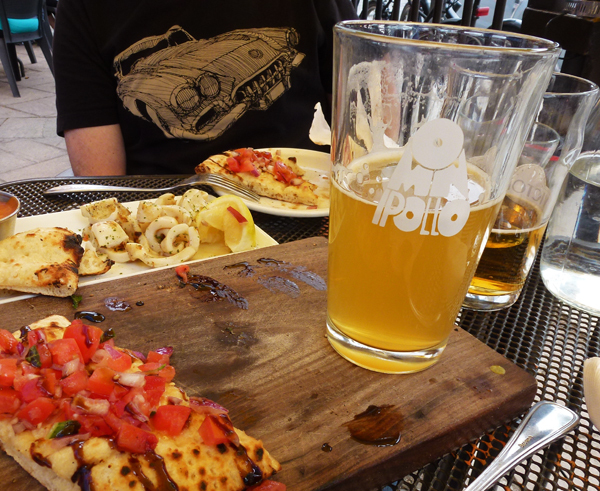 The first beer enjoyed outside for this summer season was Omnipollo, a Swedish IPA with strong citrus flavouring. It won't be the last one of these - it was good. We finally got nice warm weather last week and all of the patios were open and doing great business. I do like to eat outside! If the rain stops by Friday afternoon, my 50th class reunion will be held in a rooftop restaurant. You're almost making me look forward to summer again Pat and we're just going into winter.. love this summer shot and by the way... Cheers! I just had a late breakfast and now I'm hungry again. You make all that foodstuff look so good. Enjoy today and every day, especially those days when the weather is warm and the breezes float the clouds in the sky! Hello, the food and beer look great. Enjoy the summer weather. Happy Wednesday, enjoy your day! There is just something about dining outside that raises the spirits. Here you are beginning for the summer and here we are ending for the summer. It will very soon be too hot to eat outside even with those misters they use down here. Cheers, Pat ! The first beer is the best ! Looks like a perfect patio day! We also had hot weather but cool and rainy this week. Cheers! Haven't heard of this beer before. Cheers! I want what you're having! I would love one of these so now I have to go rummage through my refrigerator to see what is there. Summer is on it's way here too. Good news... Omnipollo is available at the LCBO. Bad news... the stores that carry it are not close to me.